Have you noticed that it’s less people are seeing posts from your Facebook page? Over time, Facebook has applied algorithmic changes to its news feed, drastically changing the content your fans see. This algorithm was designed to create a news feed specifically targeted to you, making it the perfect “personalized digital newspaper” as Mark Zuckerberg called it. However, it has created another problem. Over the last year many organizations, small businesses and users noticed a decrease in interaction. Users feel like it has converted Facebook from a free platform to a “Pay-and-Play” platform. In an article last year on Forbes.com, columnist Nick Bilton, explained how he noticed decreases in likes, shares and comments in his posts, so he decided to experiment with the system. Bilton paid $7 to promote his column and within a few hours noticed the huge difference in shares and likes. He publicized his reaction, a belief that Facebook could possibly be suppressing other posts in order to boost others. Facebook immediately replied, “There have been recent claims suggesting that our news feed algorithm suppresses organic distribution of posts in favor of paid posts in order to increase our revenue. This is not true.” The company explained that engagement has gone up 34 percent for those who have activated the Follow Feature and have followers. They also explain that people cannot compare engagement rates in posts from a year ago to today. Facebook says it is as if comparing apples to oranges. The comparison in engagement is irrelevant because the posts are not the same. Facebook also stated that decrease in interaction could merely be due to the content or type of post. Users with little to no budget to promote posts have been bothered with the changes, and some even see it as an ultimatum. They can either find the means to boost their posts or leave the platform. However, Facebook’s algorithm does not mean users have to pay to maintain social media engagement across all networks. We as marketers can blame the algorithm for some of our troubles, but we’ll always be able to get creative with other social media outlets. A picture is worth a thousand words so capture an amazing one and tweet it, post it on Instagram or Pinterest and compare the engagement. And who knows? 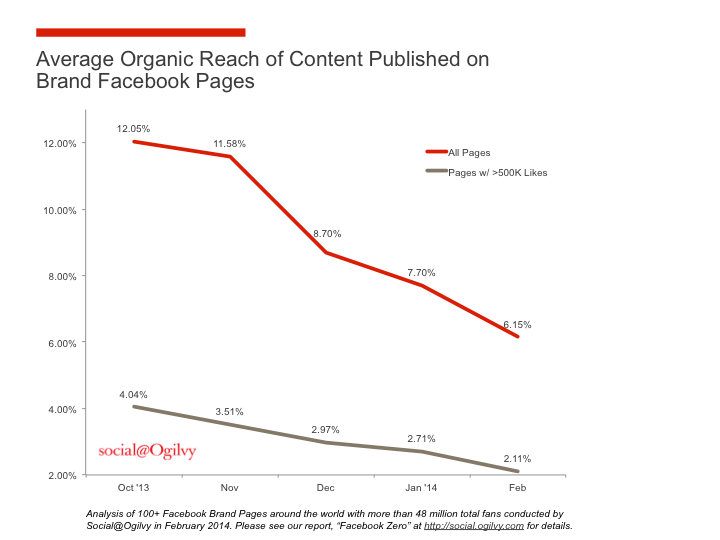 We may just have to strengthen our content on Facebook to make it more appealing to our audiences. Be sure to “like” Innovative PR on Facebook and “follow” us on Twitter.